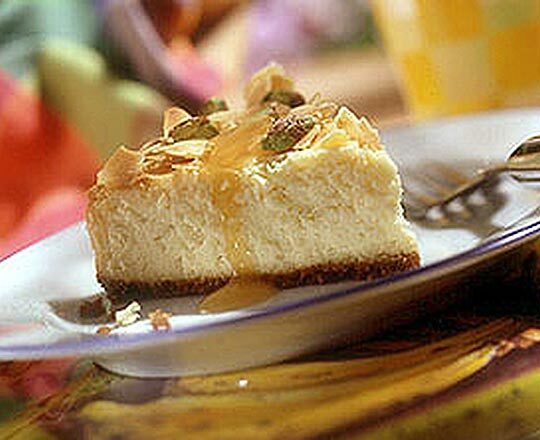 This delicious cheesecake has a light citrus tang, that cuts through the richness of the cream cheese. A classic baked cheesecake which is usually found in bistros! Beat Philly* for 2 minutes or until smooth. Add sugar, lemon juice and eggs, continue beating until smooth. Pour onto prepared crumb crust and bake at 150°C for 60 minutes. Allow cooling completely in the oven. Serve dusted with icing sugar and fresh berries.